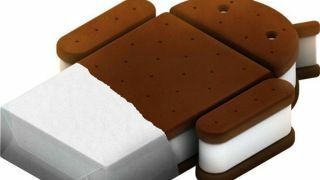 The remaining Ice Cream Sandwichless HTC handsets are set to get their Android 4.0 updates by the end of the month. HTC has been telling Facebook commenters to cool their jets, with handsets including the HTC Desire S, HTC Rhyme, US-friendly HTC Thunderbolt all still on track to get the update this summer. Some of those handsets were supposed to be getting the chilly Android 4.0 goodness back in June/July, so this will be welcome news. Sadly Ice Cream Sandwich is still off the menu for the HTC Desire HD. Meanwhile in modern-day operating systems, the HTC One series is still set to get Jelly Bean (aka Android 4.1) at some point in the future, although we're still waiting for a date. But forget the present, let's look to the future – TechRadar has cracked out the crystal ball, had a good gaze at Android 5.0 Key Lime Pie and come up with a few pointers for Google to consider.